A thoughtful gift, this elegant pendant is crafted in beautiful 9ct white gold. Complete with 18" chain. 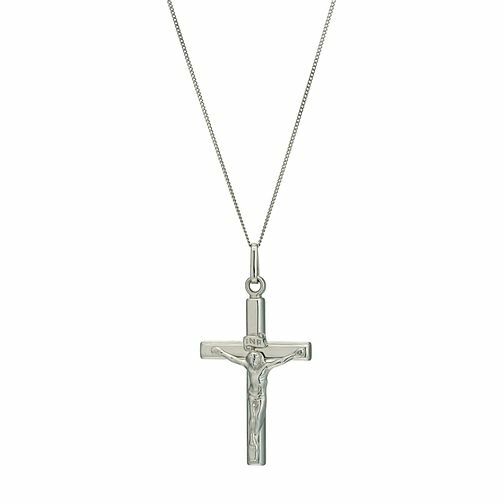 9ct White Gold 18" Crucifix Pendant is rated 4.0 out of 5 by 1.